Delays are reported on the northbound M6 following an earlier two-vehicle smash. The accident happened at around midday on July 28 between Junctions 30, for the M61 and 31, for Preston New Road. 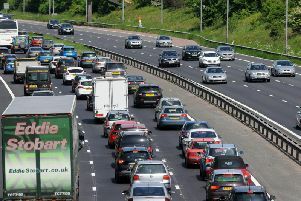 Traffic was briefly held just after 12.20pm while the vehicles were moved to the hard shoulder. Police say that nobody was injured during the incident.